Jousting and Boxing in One Unit! Description: The Jousting stadium is fondly named "Rock & Roll" cause that's what you'll be doing while battling your opponent atop the raised platform. 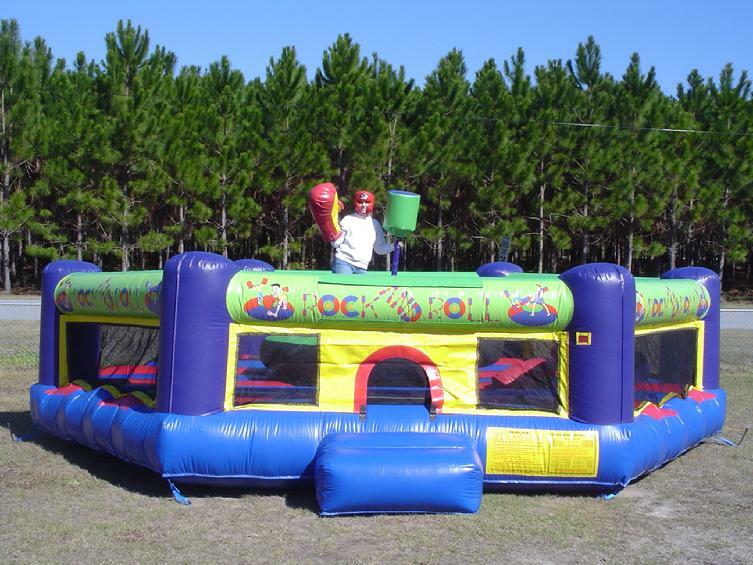 Whether your Jousting, having Sumo, Boxing or King-of-the-Mountain matches, this stadium is the must have interactive inflatable for your rental event. Our jousting poles are padded and a great addition to any Jousting event. Jousting Poles and Boxing Gloves are included on your rental.